As Tech N9ne’s long-time protégé, Krizz Kaliko has been under the tutelage of the Kansas City King for well over a decade. In that time, he’s become one of the biggest names on Strange Music, and with the recent release of Kickin’ & Screamin‘, listeners everywhere are finding out why Tech N9ne dubbed him the “genius”. Krizz Kaliko recently sat down with BallerStatus.com for an exclusive two-part interview regarding his long career with Tech N9ne and how his life influences his music. In part one, Krizz discusses his “genius” moniker, his relationships with Tech N9ne and Kutt Calhoun, and the depth of his lyrics. Krizz also went on to discuss the struggles of giving too much of his personal life to his fans. 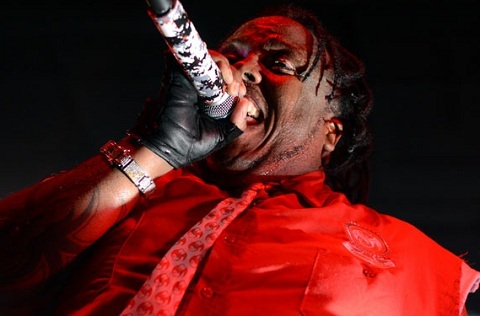 Much like his mentor, Krizz Kaliko continues to put his life on display in hopes of connecting with more listeners. Click here to read part one of the interview. What do you make of Krizz Kaliko opening himself up in his music?